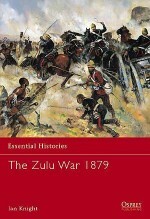 The Zulu War of 1879 was devastating in its brutality. Pitting the firepower of the professional British army against the skill and determination of King Cetshwayo's Zulu warriors, it was a mighty clash of military cultures that ended with the collapse of Zululand the last great black kingdom bordering Britain's African colonies. 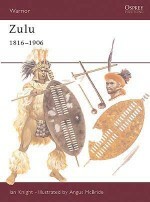 This book traces the course of the Zulu War, covering the major battles of Rorke's Drift, Isandlwana and Khambula, and showing that the British victory was by no means easily won. 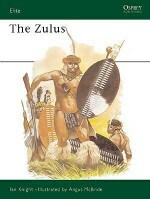 The opposing forces the British, under Gen Sir Arthur Cunnynghame and the Zulus, under their King Cetshwayo are profiled, and their dress, equipment, organisation and military methodologies are examined in detail. 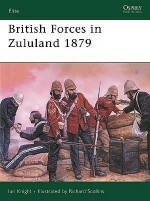 This book includes material previously published as Campaign 14: 'Zulu War 1879', Elite 32: 'British Forces in Zululand 1879' and Elite 21: 'The Zulus'. Ian Knight is a leading international expert on the Anglo-Zulu War, and has contributed to over 30 books, and numerous television documentaries on the subject. In 2000 he was involved in the first archaeological survey of the Isandlwana battlefield. 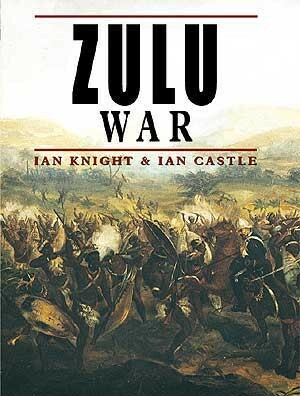 Ian Castle is a consultant to the Anglo Zulu War Historical Society, involved in the archaeological project working on the Zulu War battlefields. Ian began writing more than ten years ago and has written ten books, five of which are in Osprey's Campaign series.Rick Scollins was one of the most popular artists ever to work for Osprey. His artwork was always realistic and is highly sought after by collectors. Rick Scollins died in December 1992. Angus McBride is one of the world's most respected historical illustrators, and has contributed to more than 90 Osprey titles in the past three decades. He now lives and works in Cape Town.